Jamaica trounced the Mexican side by a sole goal to reach the Gold Cup final on Sunday. Kemar Lawrence’s effort was enough to send El Tri out of the tournament as his late goal was enough. The semifinal loss adds more pressure on the Mexican team ahead of the 2018 World Cup. The team lost scandalously to Chile 7-0 at the Copa America Centenario last year and they lost 4-1 to Germany at the Confederations Cup few weeks back. However the team remains sure to reach the finals of the world event next year. The assistant manager Luis PompilioPaezdid not agree that the team failed at the Gold Cup. “I personally don’t like the word ‘failure’ but everyone is entitled to their opinion. This coaching staff was hired with the mission of taking Mexico to the World Cup. We are very close,” Paez said. The manager of the team Juan Carlos Osorio was in the box in the Rose Bowl due to his ban and he was not allowed to comment on the game. There have been numerous calls for him to be sacked but Paez is against it. Paez said Mexico were not the favourites tolift the Confederations Cup or with the crop of players the Gold Cup. He said the team hoped and prepared with that mindset but that football chose to reward Jamaica over them. El Tri dominated the game but they could not break the deadlock until Lawrence’s goal. 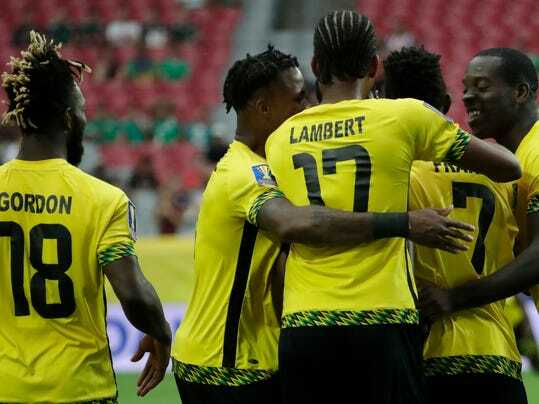 Jamaica have the required confidence to go all the way when they clash with the United States in the final on Wednesday. However, the experienced additions in the USA team give them the edge in the Gold Cup final.